Looking through the 22,000 American Colony pictures in the Library of Congress collection, it's easy to conclude that many of the photos are miscaptioned -- if they're captioned at all. And those that are captioned often do not provide an accurate date or enough information to identify the subjects, time and place. 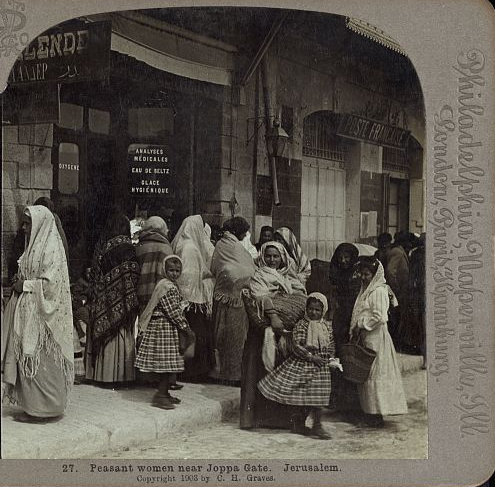 That's an important mission of Israel Daily Picture -- to uncover as much information as possible about Jewish life and communities in Eretz Yisrael more than 100 years ago. 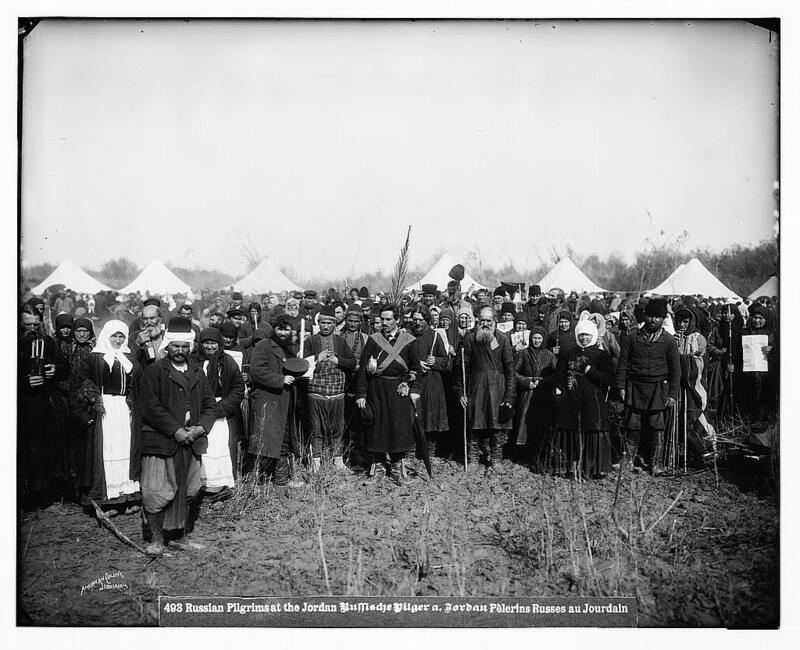 The Library of Congress photo collection includes pictures of Russian Christian pilgrims visiting churches and baptism sites, such as the photo below of Russian pilgrims gathered at Jericho. Note the headgear. All of the women in Jericho are wearing kerchiefs on their heads. But one of the passengers on the boat is not. Is she Jewish perhaps? So the Russian Christians were sailing on a religious pilgrimage, but what of the Jews? It is likely that they were part of the 35,000 Jews who left Russia after pogroms and anti-Jewish Czarist degrees. 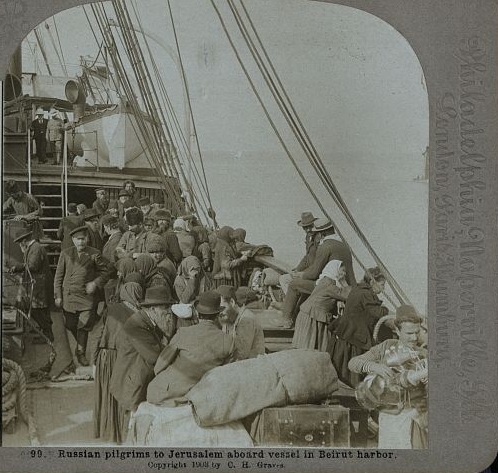 They were part of what is called the "First Aliya," a wave of Jewish immigration, dated 1880-1903. What can you make out of the picture of the peasants outside Jaffa Gate? The Library of Congress website allows for enlarging the photos, and who is in the background of the picture? Jewish men. Great work and very good to post to read. It's always very pleasure to know about history of jewish pilgrims. thanks for sharing this post.